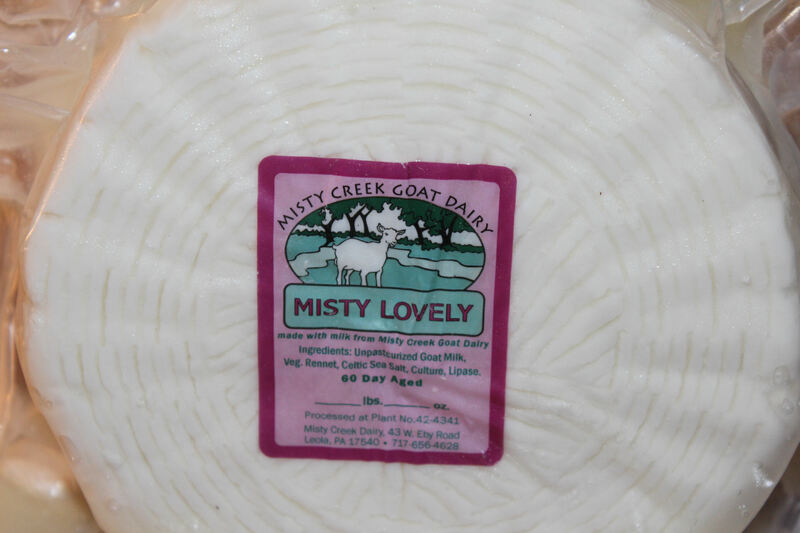 Misty Lovely is an Amish raw milk goat cheese made in Leola, PA by Amos Miller at his Misty Creek Dairy. 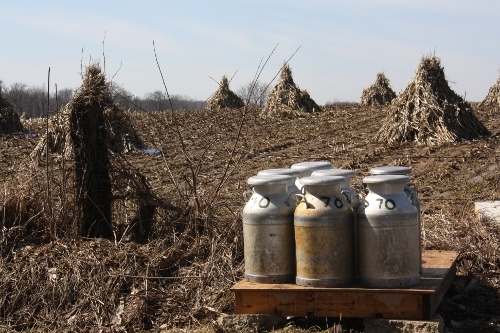 The Amish make their cheese with recipes that have been handed down for generations. Misty Lovely is an exception. Amos Miller has established himself as the “go-to” goat ricotta producer with this velvety invention. The story goes like this… Once upon a time, in a little tiny village close to Lancaster Pennsylvania cheese maker Amos set out to make a feta goat cheese. He had a nice farm, and the goats were fed the Pennsylvania grasses and clovers and were cared for like members of the family. The goats even got to watch the children play at the village school which is next door at lunch time. They were happy goats. And yes happy goats make better milk! Back to the story…. Amos set out to make a feta goat cheese. He took the raw goat milk added vegetable rennet, Celtic sea salt, lots of love and a few secret ingredients and worked his magic. He watched over his new cheese for 60 days and at the right time he sampled his product and was surprise with the feta. His cheese did not taste like a feta. It started out like a feta in your mouth but finished like cheddar. What to do now? It’s not a feta nor was it a cheddar but it had a wonderful flavor more like a ricotta salata. They took the cheese into town and asked Bill, at the Clock Tower Cheese Shoppe in Gap, PA to try it. Bill sniffed it, pulled the curds apart and tasted it. He did a happy dance and declared it “lovely” and a cheese was named. Raw milk cheeses are aged for 60 days which allows for a natural pasteurization and allows the cheese maker to retain a lot of the flavors of the raw milk. 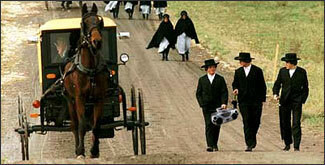 More and more Amish families are turning to cheese making to preserve their way of living. These cheeses are Artisan/Artisanal cheese that are produced primarily by hand, in small batches with lots of attention paid to the tradition of cheese making. This cheese is also classified as “farmstead” by the American Cheese Society. This means that it is made with milk from the farmer’s own herd or flock, on the farm where the animals are raised. More and more people want to know their farmers and where their food is coming from. Americans are learning that there is so much more to cheese than Kraft and cheddar. It is reported that an average American will consume 10 pounds of cheddar a year. One of the other things you will notice is that an Artisanal cheese’s flavor will change over the year. In the spring it tends to be creamier and richer while in the winter months while the animals are eating hay it becomes more dense and piquant. But once you taste really good cheese it’s hard to go back to the other cheeses that they grew up with. This is one of those cheeses. It becomes addictive and the more you eat the more you want! 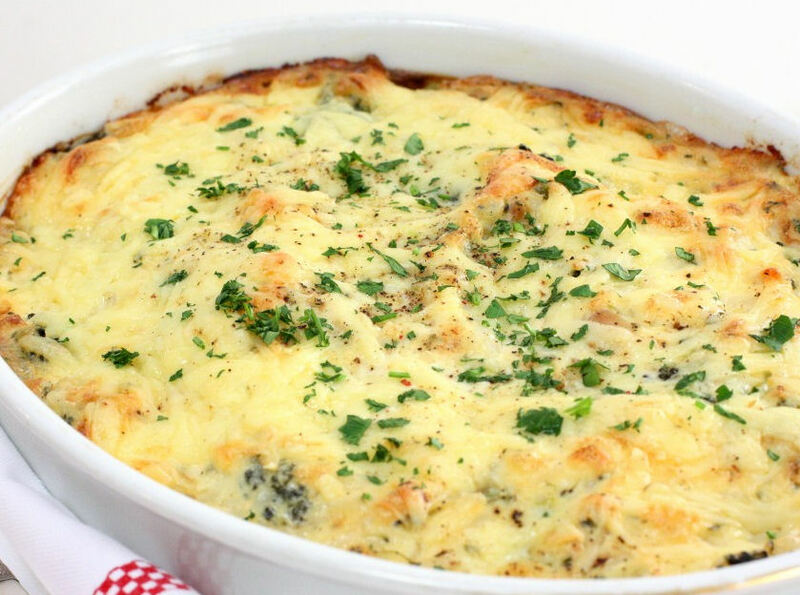 To start off any cheese souffle, you need a bechamel sauce. 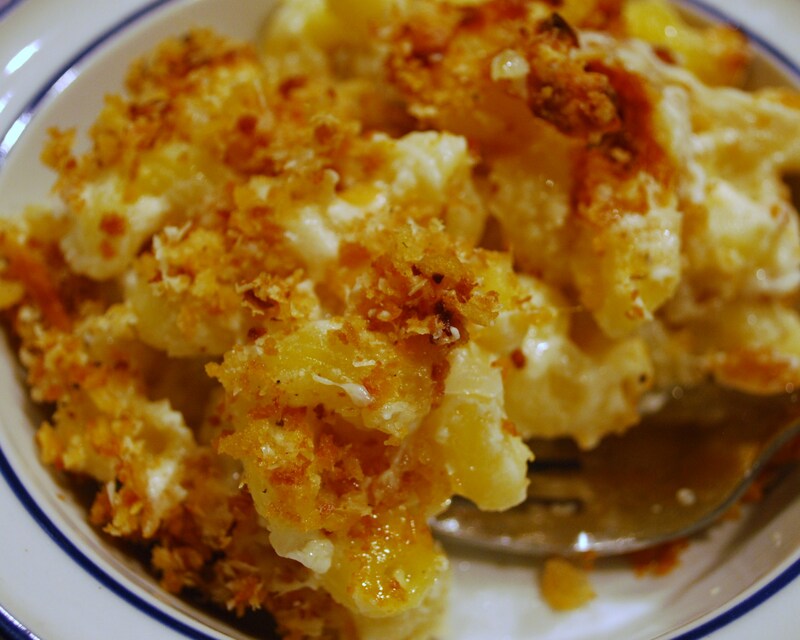 You may be familiar with this sauce from making it for other dishes – mac and cheese or lasagna. It’s a basic white sauce that’s a staple of French cooking, made from a roux of butter and flour cooked in milk. You’ll also probably be pretty familiar with how to make it if you’ve ever made your own gravy. 2) Pre-measure and lay out everything beforehand. You don’t want to be running to the fridge for the cheese while your bechamel is burning on the stove. 3) Put your oven rack as low to the floor of the oven as possible. It helps lift the souffle without the burning of the top. 4) Be sure the bowl and whisk you’ll be using to beat your egg whites are metal, completely clean and dry. The smallest trace of oil will prevent the egg whites from whisking properly. 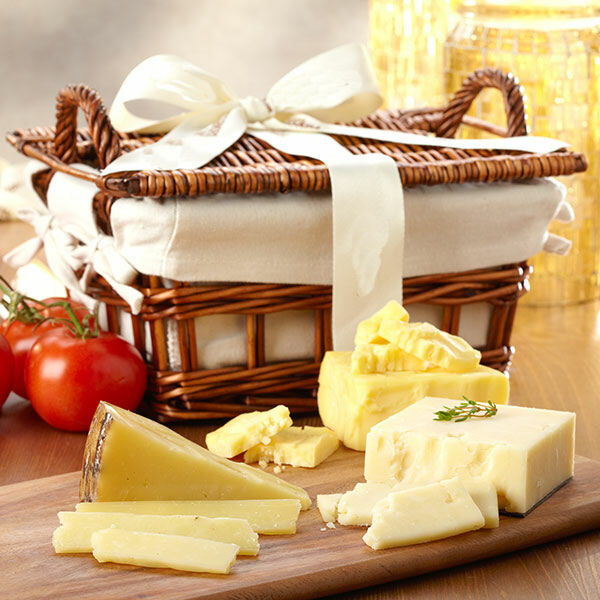 5) Be sure to visit Florida Cheese Club to order your Misty Lovely Goat Cheese. Bring sugar, honey, water, cinnamon, cognac and vanilla extract to simmer in a small saucepan over medium heat until syrupy, about 5 minutes. Add the apricots and cook 3 minutes more, then add the lemon juice. Let cool while you make your souffle. Preheat oven to 350°F. Brush a 16 oz. ramekin with softened butter. Coat with sugar. Warm the milk in a small saucepan over low heat. Meanwhile, melt your butter in a medium saucepan over medium-low heat. When the foam starts to subside, add your flour and nutmeg, whisking constantly for 2-3 minutes. This is your roux. You don’t want it to brown, you just want to cook out the starchy taste of the flour, so do not be tempted to raise the heat. Add your warm milk and continue whisking over low heat until the mixture thickens (if your whisk leaves a noticeable “trail” in the sauce, it’s done). Remove from heat. Add your goat cheese and whisk until melted. Add the egg yolks one at a time, and continue whisking until smooth. Transfer to a bowl and refrigerate while you whisk your egg whites. Beat your egg whites and cream of tartar with a stand or hand mixer with a whisk attachment until stiff peaks form. They should be glossy and smooth, and stand up straight when you pull the whisk out. Add 1/3 of the egg whites to the cooled bechamel mixture and gently fold in until incorporated. Repeat with the remaining egg whites. Pour the mixture into the ramekin, leaving about 1 inch of space from the top. 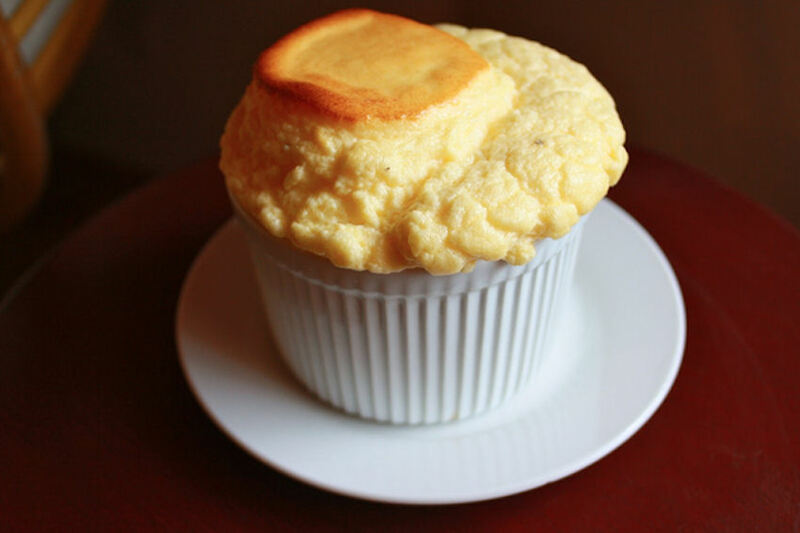 Run a clean finger around the edge of the ramekin, leaving a sort of “well” so the souffle will rise straighter. 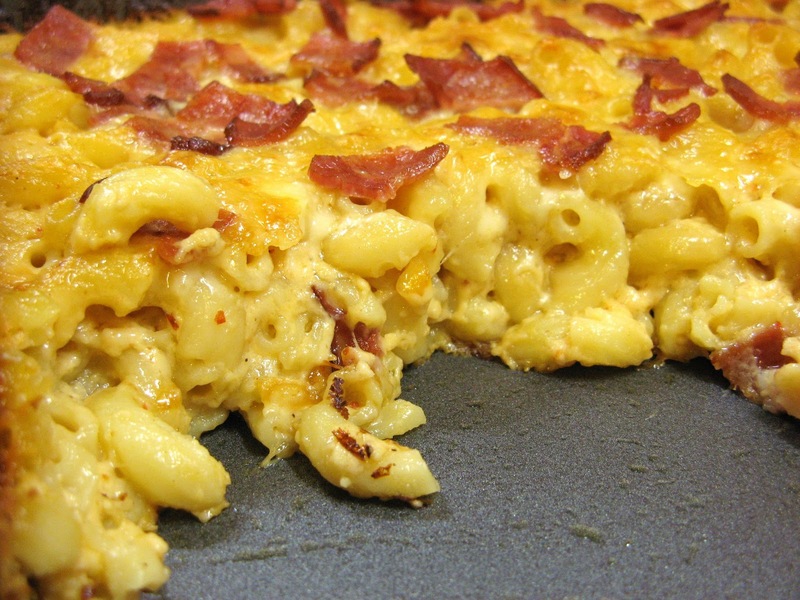 Place on a baking sheet and into the oven for about 20 minutes (keep an eye on them – times can vary). This is a great, lightly sweet dish that can be eaten as an appetizer or dessert, or even a brunch-time meal. 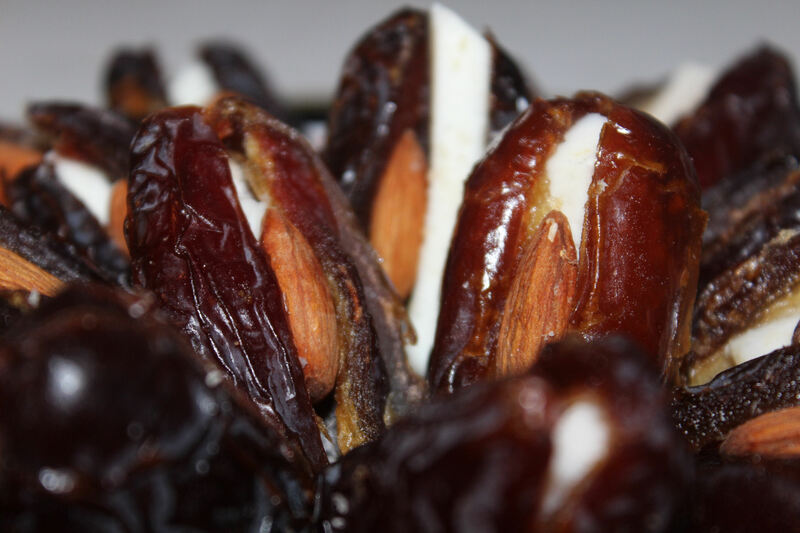 Try Stuffing dates with shredded Misty Lovely goat cheese, some cream cheeses and almonds.